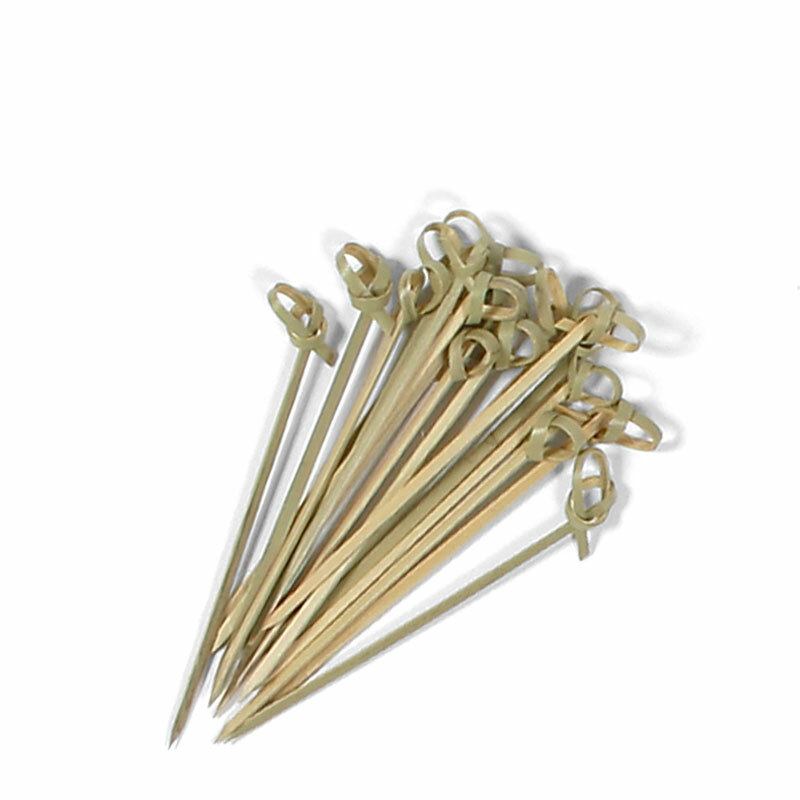 Knotted Bamboo Skewers - 4""
Natural bamboo knotted skewers. Perfect for fruit, hors d'ouevres, sandwiches, etc. The twisted knot adds a nice elegant flair. 100pcs. per pack. 4" long. Made in China.